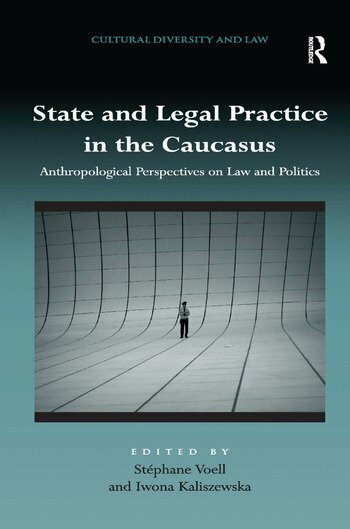 Legal pluralism and the experience of the state in the Caucasus are at the centre of this edited volume. This is a region affected by a multitude of legal orders and the book describes social action and governance in the light of this, and considers how conceptions of order are enforced, used, followed and staged in social networks and legal practice. Principally, how is the state perceived and how does it perform in both the North and South Caucasus? From elections in Dagestan and Armenia to uses of traditional law in Ingushetia and Georgia, from repression of journalism in Azerbaijan to the narrations of anti-corruption campaigns in Georgia - the text reflects the multifarious uses and performances of law and order. The collection includes approaches from different scholarly traditions and their respective theoretical background and therefore forms a unique product of multinational encounters. The volume will be a valuable resource for legal and political anthropologists, ethnohistorians and researchers and academics working in the areas of post-socialism and post-colonialism. Stéphane Voell is Lecturer at the Department for Cultural and Social Anthropology at the Philipps-University Marburg, Germany. He has carried out fieldwork in Georgia and Albania and organized numerous workshops, conferences and student excursions in the Caucasus. He specializes in law, state, ethnicity and conflict. Iwona Kaliszewska is Assistant Professor at the Institute of Ethnology and Cultural Anthropology at the University of Warsaw, Poland. She has carried out fieldwork in Dagestan and Chechnya which resulted in a book ’Matrioshka in Hijab’, co-authored by Maciej Falkowski. She specializes in political anthropology and Caucasus area studies.